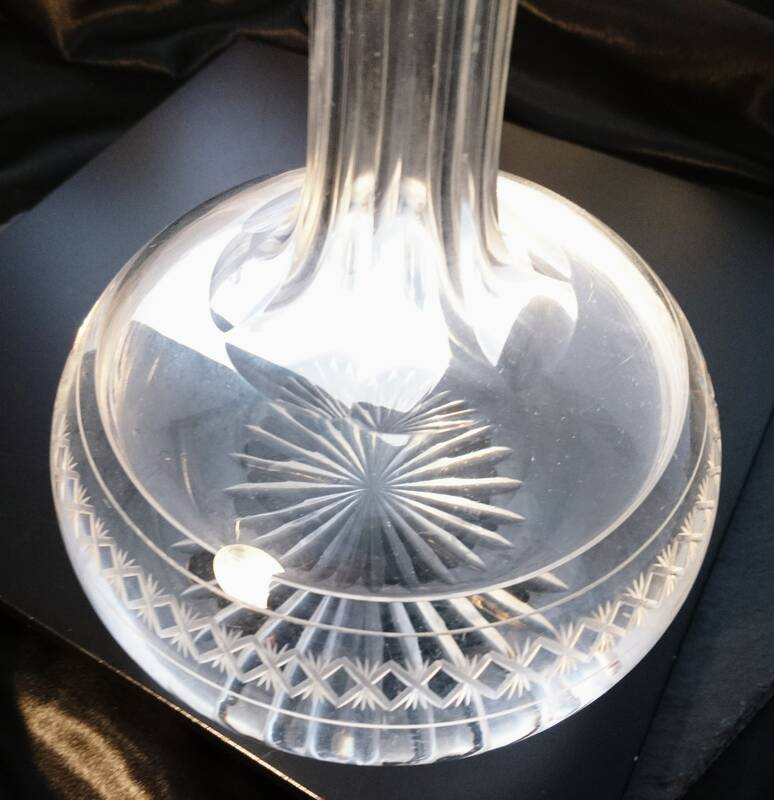 A stunning Victorian Etched decanter of bulbous form, the original crystal cut, starburst glass stopper. 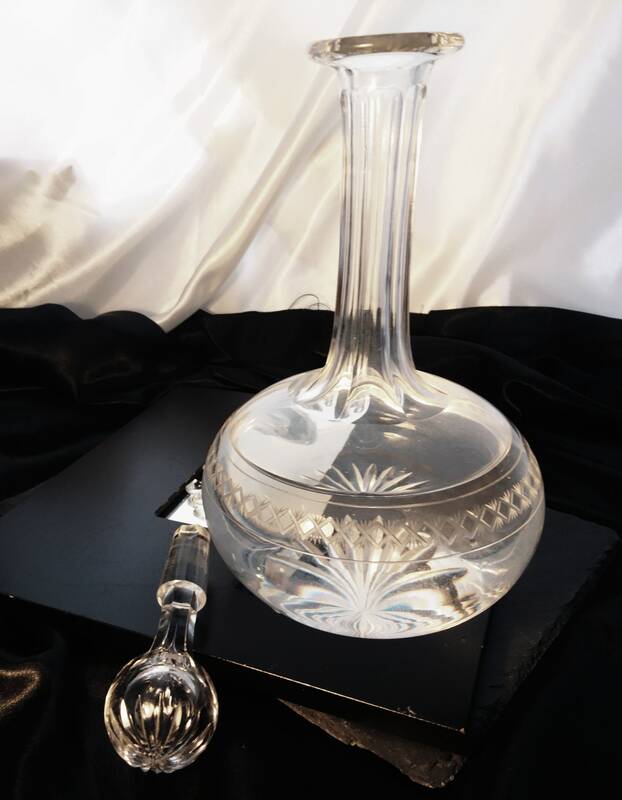 The decanter is hand blown forming a delicate crystal like glass with a delicate criss cross etched border around the bulbous base, the neck is a faceted cut. 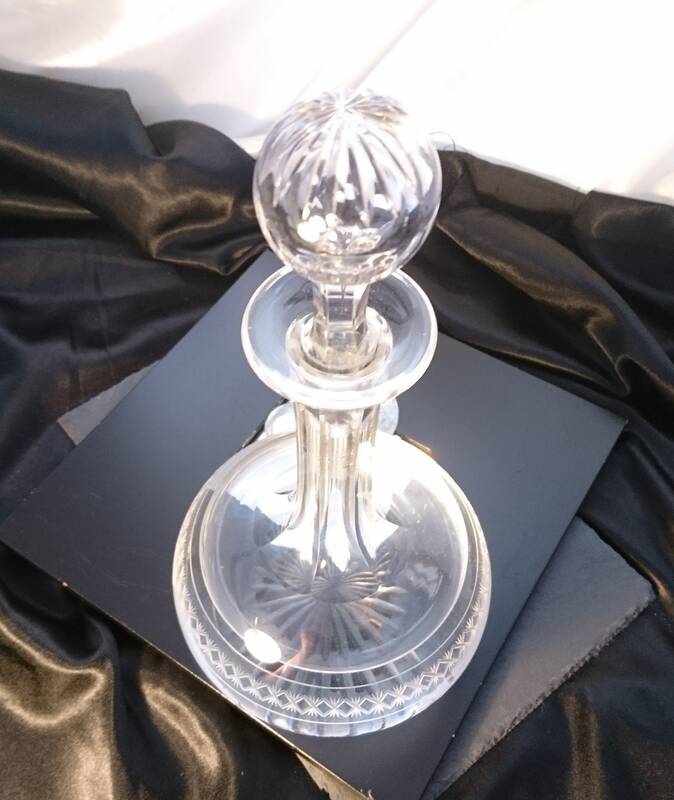 It is a very pretty piece of Victorian glassware, designed to hold a more heavy tipple such as Port or Sherry but could also be used fir wine, the design forces the pourer to use a slower more refined action aerating the tipple on the way into the glass. 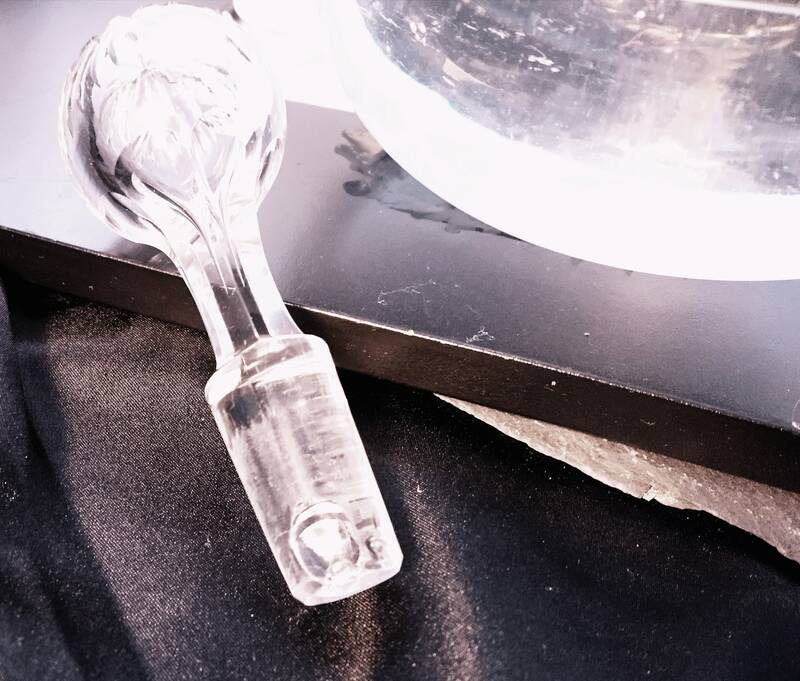 The base has a thick cut starbusrt pattern. 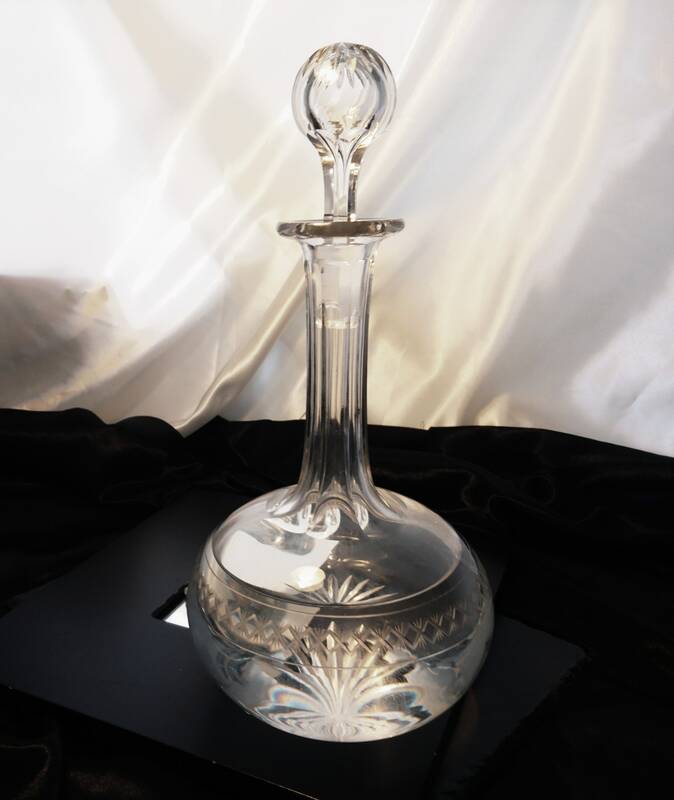 It would look beautiful on the dining table or the drinks cabinet. 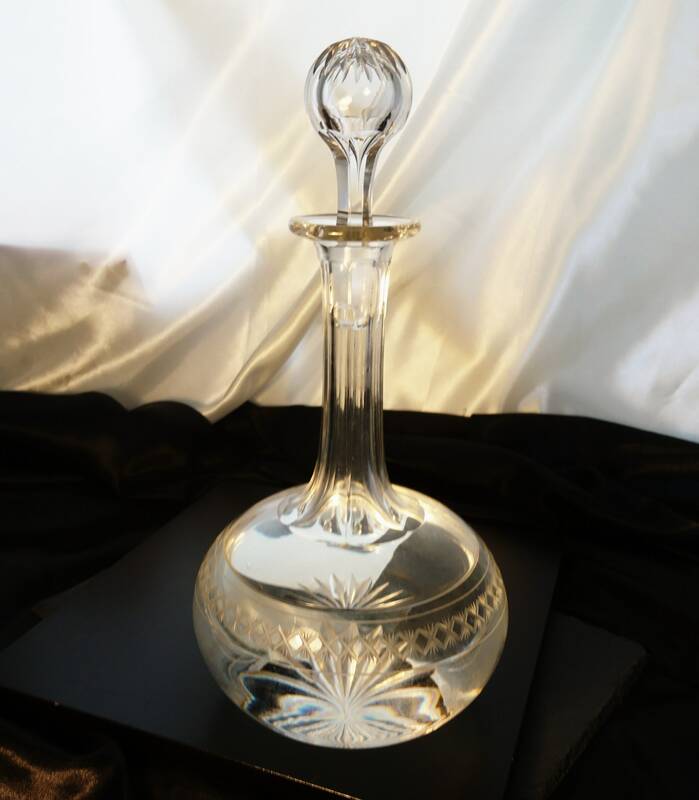 It is in good antique condition with no chips or cracks to the decanter, some small surface chips on the stopper but this does not affect the use and only present on the inner part of the stopper. 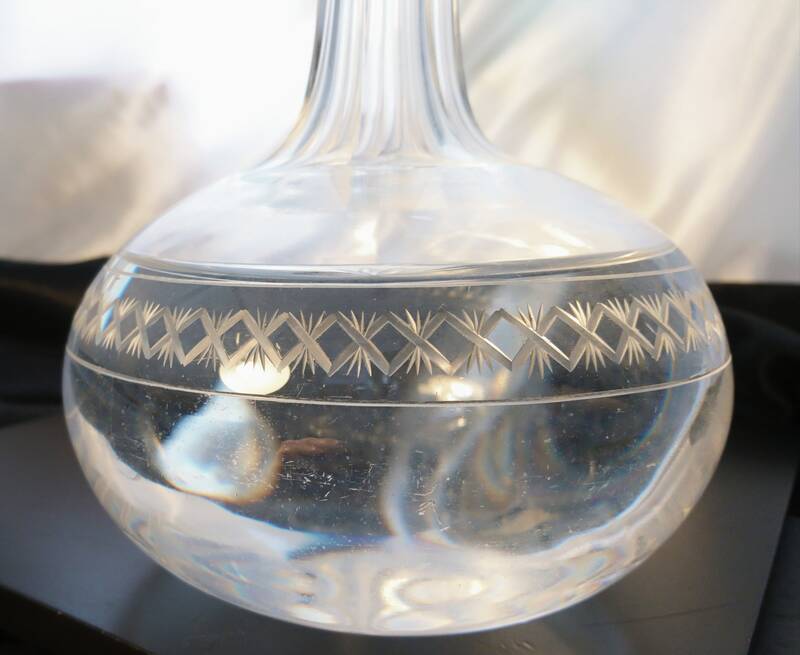 There are some surface scratches to the delicate glass body and if left empty it exhibits some past liquid residue but this can be removed easily with a clean. 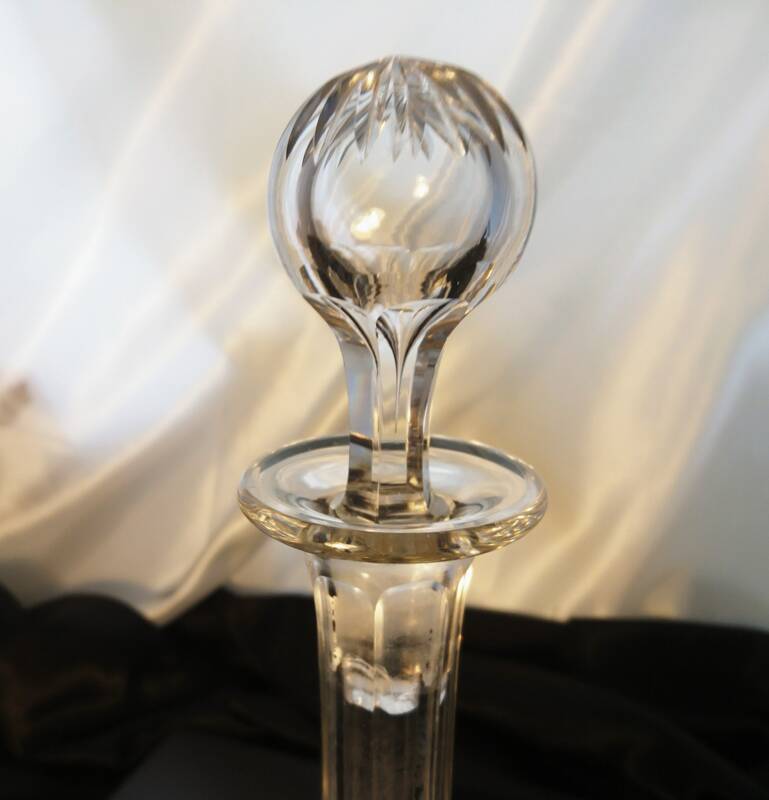 Approx 11" height including stopper and 18" circumference at the widest point.